Christopher Michael Wheeler endured challenges that NO individual particularly a child should have to encounter. But God saw it fit that Christopher would be removed from those challenges and placed in the care of loving, nurturing, protective parents. 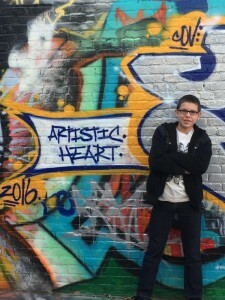 Christopher is an amazing, athletic, brilliant and generous 13 year old who has a huge heart for people and animals. When Christopher becomes old enough to work it is his desire to find employment at an animal shelter. Christopher is currently in the 6th grade where he attends South East Academy (an online house school program) where he is currently on the Honor Roll. Christopher’s future goals are to graduate High School. Attend a university and enlist into the military as an officer. Christopher is a conqueror and his future is bright! !